We are NOT a nightclub! We sell nightclub packages only! Which Miami Clubs and venues do we work with? South Beach Live Group is a provider of premier Miami nightlife solutions. Our extensive database of contacts and promoters allows our company to provide the very finest in Miami nightlife services to our clients. 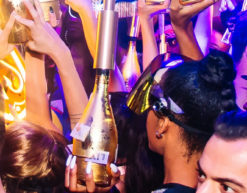 We offer premium Miami night club party packages and visitor guest services.